Everything was well organised and went smoothly and as planned. They were extremely helpful and professional. Andy and his team are amazing! They not only did dads funeral but mum’s last summer! Professional, excellent and kind, their support & knowledge helped Dave and myself complete all the necessary requirements needed! They are a fantastic company to use and I thoroughly recommend them! Andy supported us through an incredibly sad time and took such good care of my brother. I can't speak highly enough of him. An independent funeral director with over 30 years of experience, Braddicks and Sherborne pride themselves on providing comprehensive, practical funeral planning services, as well as advice and support for the bereaved. 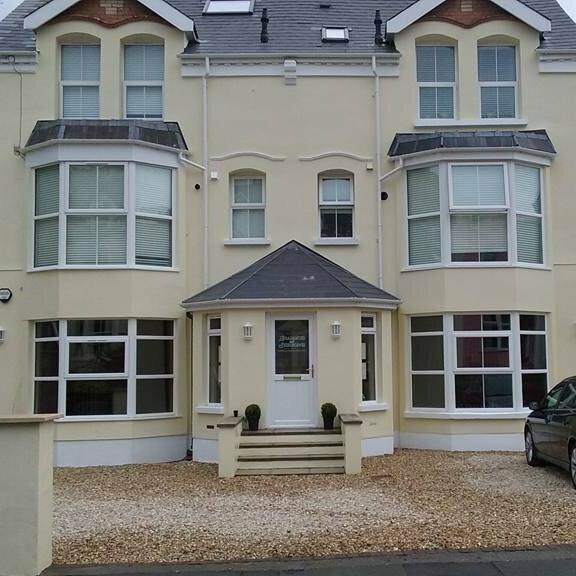 Based in Ilfracombe, their funeral home offers a warm and welcoming reception, with comfortable family room and a peaceful viewing room, all with up-to-date facilities. There is a wide variety of funeral and remembrance services offered, from the traditional to the contemporary. Options include woodland burials, sea burials, humanist services, non-religious funerals and more, catering to a range of faiths and beliefs. The bereaved can benefit from assistance in all areas of funeral planning, including catering advice, service sheets, donations, flowers and stonemasonry. Braddicks and Sherborne also have a choice of vehicles, from limousine, and horse and carriage, to vintage lorries or Volkswagen campervan hearses. There is also personal support and advice for the bereaved, with online memorials and a 24-hour service. As trusted members of S.A.I.F, the National Society of Allied Independent Funeral Directors, Braddicks and Sherborne promise a professional and dignified service, dealing with all your concerns in a compassionate and sensitive manner. 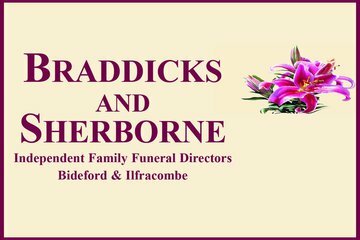 For a funeral that truly represents your loved one, call Braddicks and Sherborne. i could not have wished for a more understanding and professional company .Andy and the team were very sympathetic to our requests and handled my daughters funeral with deepest respect and care.The advice and time they gave us, to make sure everything was just as we wanted my daughters funeral to be, was invaluable.thank you so much. I can't thank them enough for the way they supported us from beginning to end. Mum's funeral was far from ordinary, but it was arranged beautifully. From the very first contact , Andy & Sherrina , were totally professional and inconstant contact. This made a very difficult time a lot easier to bear. There professionalism on the day was commented on by many. Thank You so much Braddick & Sherbourne. Thank you for a kind, thoughtful and caring approach to the whole procedure. Every effort was made to ensure that things went smoothly. We received fantastic service throughout. On the weeks leading up to the funeral Andy and sheriena couldn't of helped more , they were amazing. Everything we asked for was done straight away and was never too much. On the day they provided amazing service again , the day ran smoothly and to schedule and they made everything that much easier. Like to thank Andy and his team at Braddicks and Sherborne for making the arrangements and for the services on the day for my mothers funeral. It was there support to us that made preparations and the day a fitting farewell. Thank you. Braddicks & Sherborne, Ilfracombe will provide you with a free obituary as part of their service.